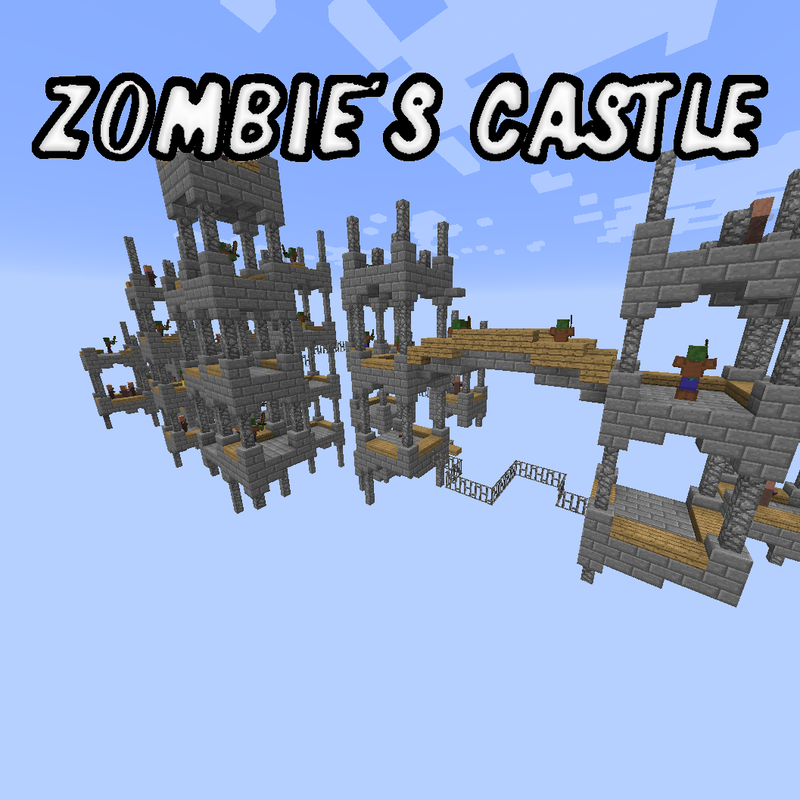 Zombie's Castle is about freeing as many Villagers as possible without falling to your death or being eaten by zombies! Jump from platform to platform (or don't) while trying to help Villagers. alter the ways in which you'll have to navigate the map. Feel free to leave your highscores and the corresponding difficulty setting in the comments. Use Minecraft Snapshot 18w31a+ (newest snapshot) / 1.13.1+ (when it comes out). The reason why this happens is unclear to me. It could just be another snapshot bug, at least I can't think of any other reason for this. Time will show. If you find any other bugs, just describe your problem or leave a log error in the comments, thanks.